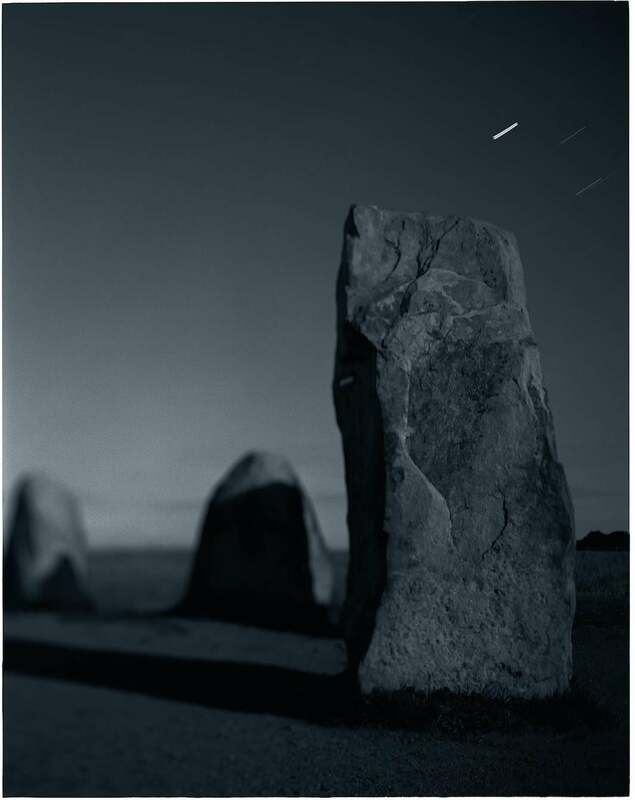 Barbara Yoshida photographs megalithic stones in her book, Moon Viewing: Megaliths by Moonlight. 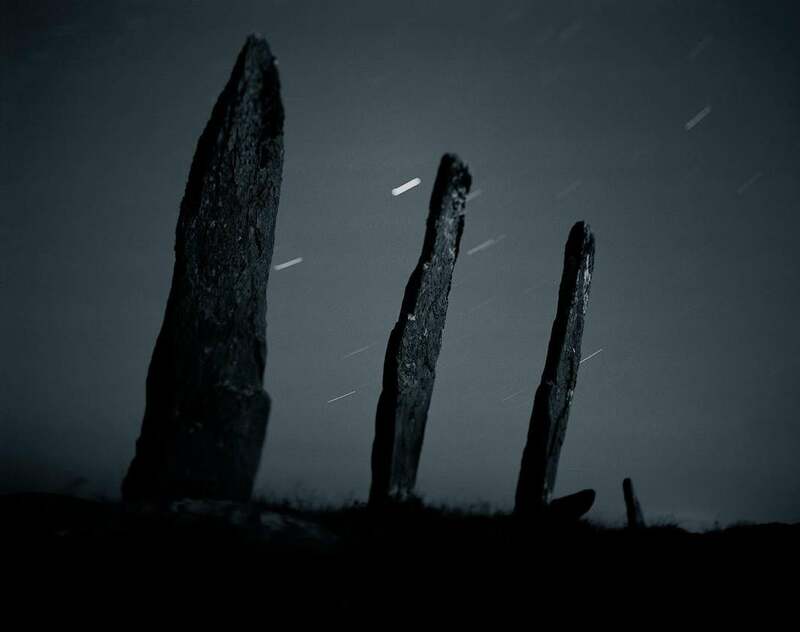 Calanais Stone Alignment, Isle of Lewis, Scotland, 2005. 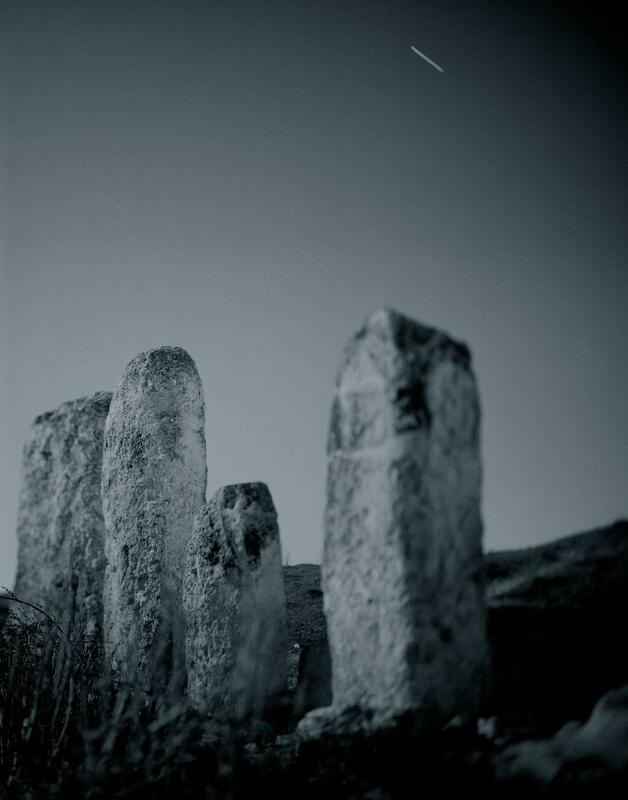 Grandson Menhir, Grandson, Switzerland, 2005. The Gurranes, Castletownshend, Ireland, 2005. S’Ortali ’e su Monte, Tortolì, Sardinia, Italy, 2013. 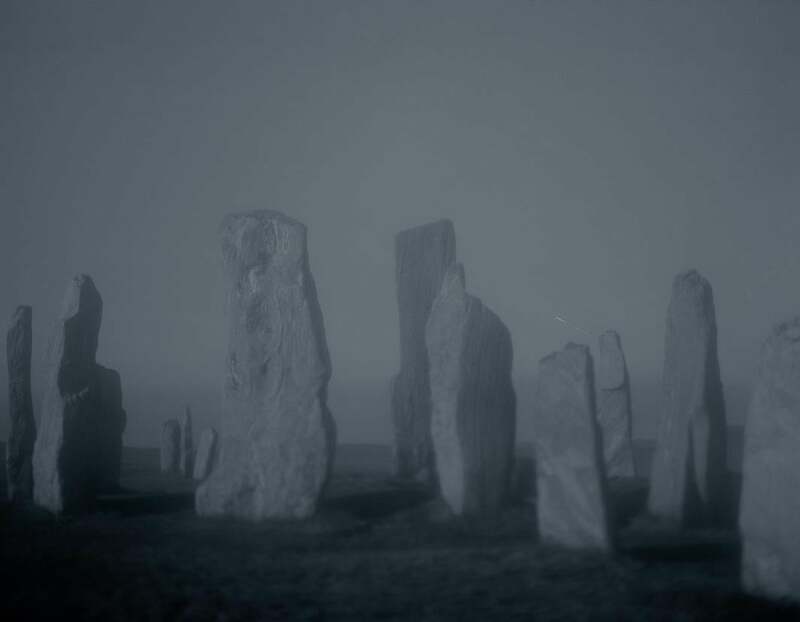 When Yoshida first began looking into megalithic stones, she found many books on sites in Western Europe. Upon further research, she discovered that there are stones all over the world. 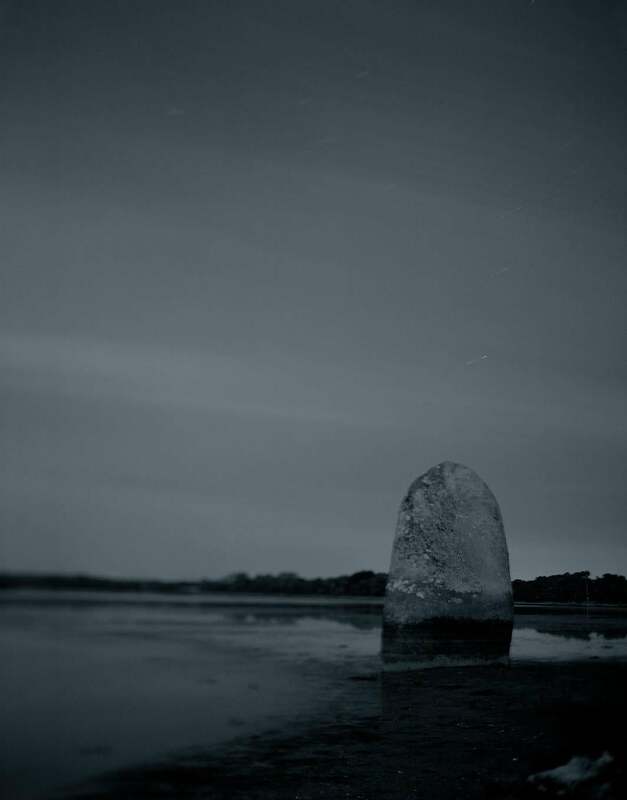 Not all of the stones are well documented though, so Yoshida’s travels were frequently a quest into the unknown, requiring expeditions into small villages without maps, and, sometimes, looking for stones based on as little as a tourist’s photograph or word of mouth. Today, many of the stones have been damaged or repurposed. Some have been forgotten, while others have purposely untouched due to superstition. “It was very difficult to tell in advance how photographable they’d be. Would they be freestanding? Would they be next to a house or have trees in the way? Would I find them at all? I might travel thousands of miles and find there wasn’t enough light to shoot,” she said. 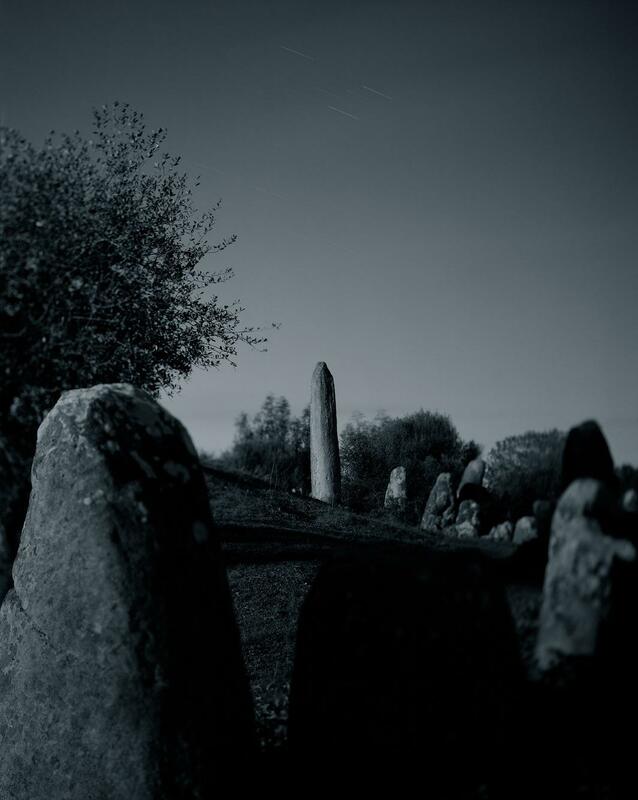 It’s not clear exactly how old many of the megaliths are, or for what purpose they were used. Some seem to have served as astrological observatories, others as sites of burial. “I wanted to draw attention to the fact that Neolithic people were not primitive. The more we learn about them, the more skilled, sophisticated, and knowledgeable they appear,” she said. 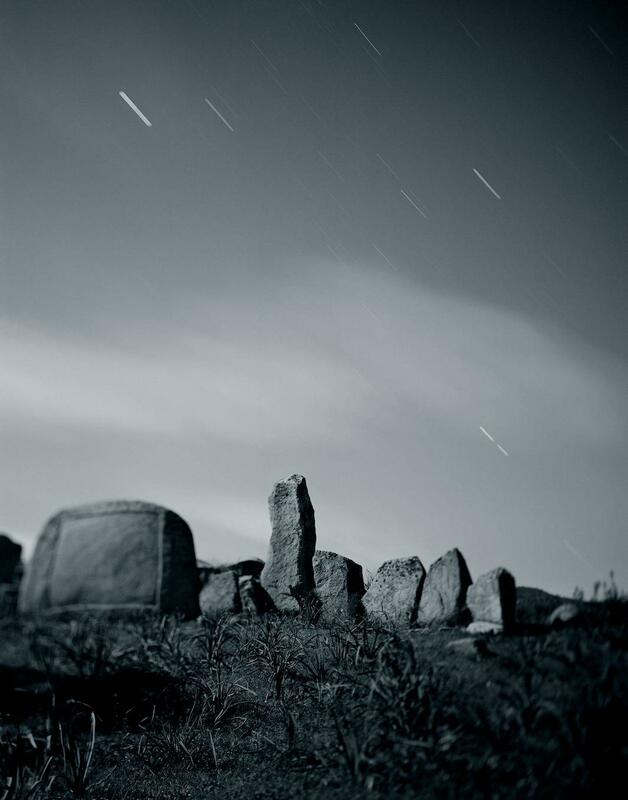 Moon Viewing: Megaliths by Moonlight will be published by Marquand Books in August. 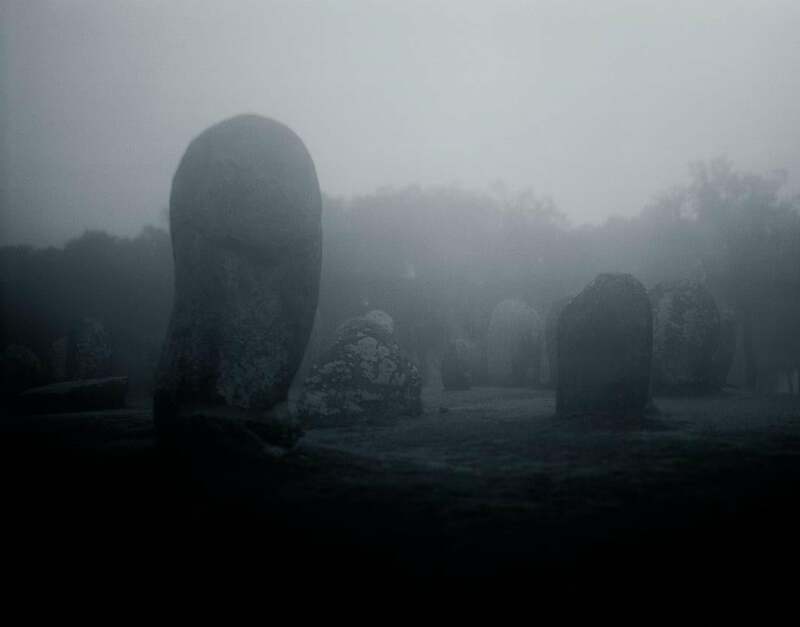 Cromlech dos Almendres, Évora, Portugal, 2004. Pennglaouic Menhir, Pont-l’Abbé, France, 2004. 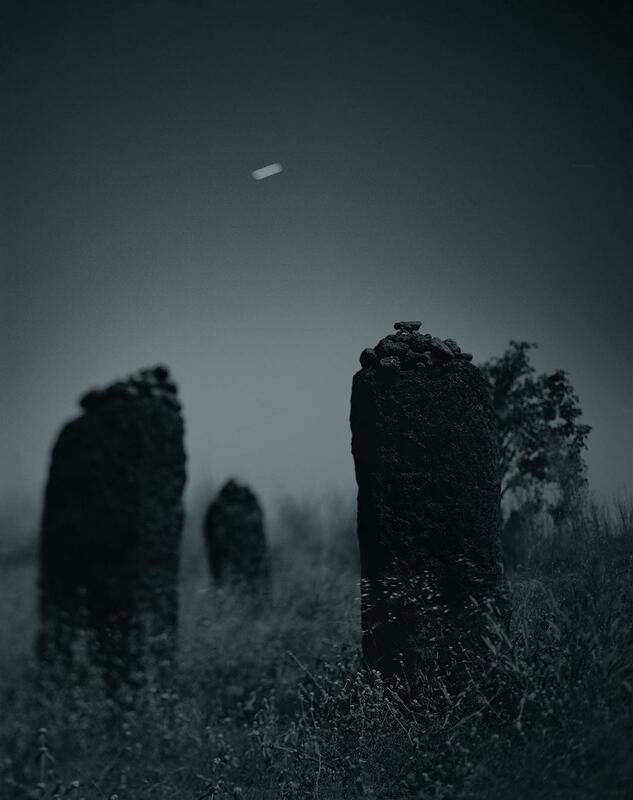 Wassu Stones, Wassu, The Gambia, 2010. Tel Gezer Stones, Gezer, Israel, 2013. 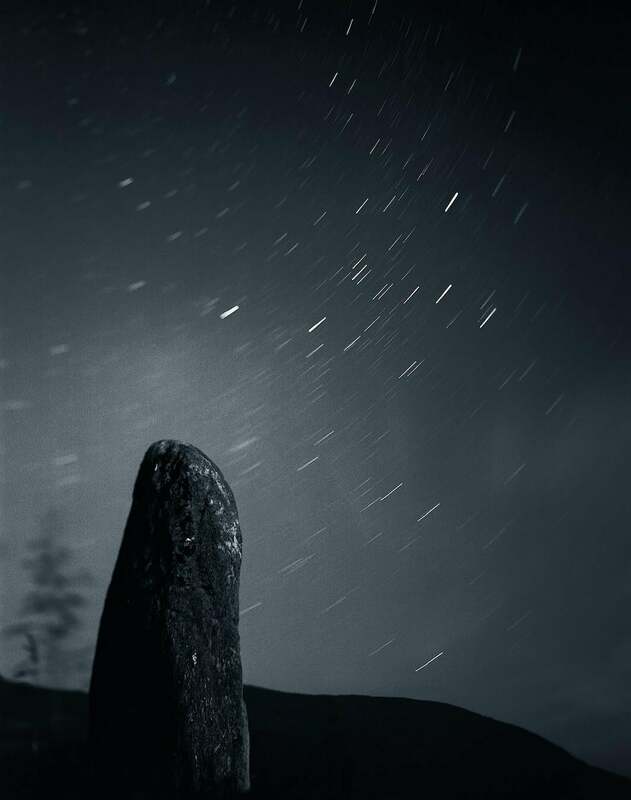 Ales Stenar Stone Ship, Kåseberga, Sweden, 2005.